Pra Luang Por Dto Bang Grating, By Luang Por Toon of Wat Po Nimit. - Classic 'Pim Niyom' Maha Ud amulet, Preferred by Serious Devotees and Collectors. 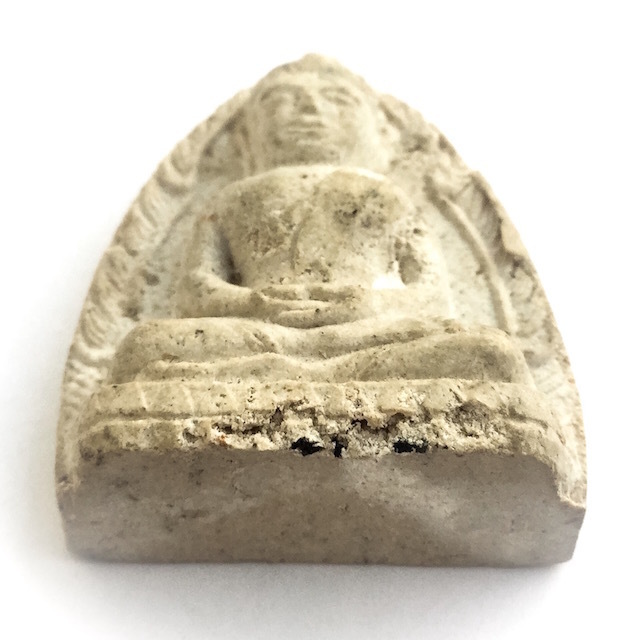 The Pra Luang Por Dto Bang Grating of Luang Por Toon, is a votive tablet in the image of a Buddha, sat in Meditation, and is a meritorious conservation of the original 400 - 200 Year old Ancient Amulet of the Ayuttaya Kingdom. 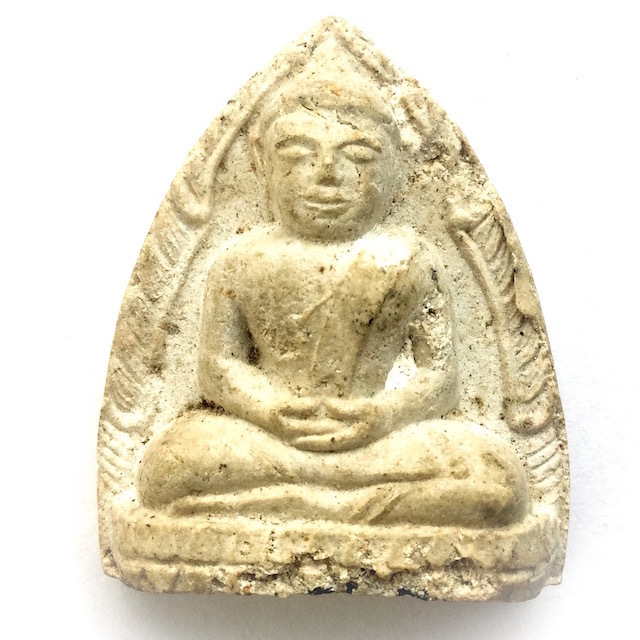 The reason the original Pra Kru Wat bang Grating amulet is declared as 400 to 200 years old, is that the amulets were uncovered twice in the late nineteenth century. The original Pra Luang Por To was found in both Pang Samati (both hands laid together in meditation) and in the Pang Mara Vichai posture (subduing Mara with one hand resting on the knee touching the earth). 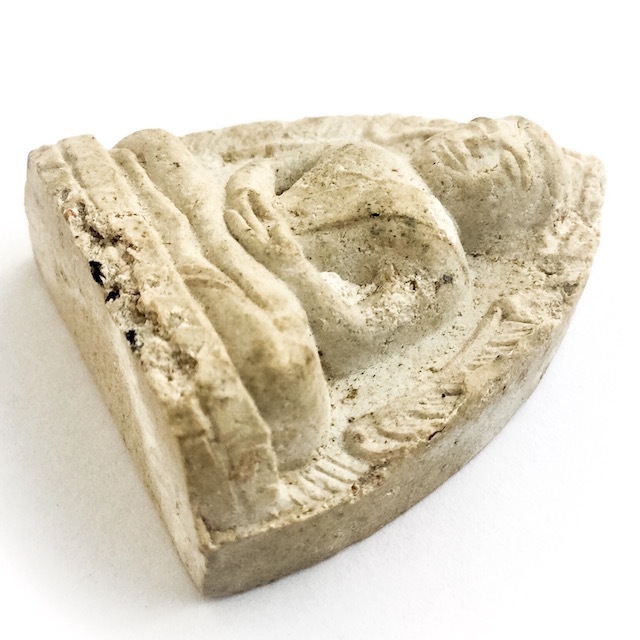 The second opening occurred, after a thief had broken unto the base of the Pra Pratan Buddha Image of the Uposadha of Wat Bang Grating, and stolen many amulets, along with the original Mae Pim Block Press Mold which was also discovered in the original discovery. And so, the temple reopened the Kru Chamber, to release the rest of the amulets to the public in order to prevent any ore thieves from stealing them. The Grom Silapa Ministry of Buddhist Arts was called to examine them, and it turned out that the second chamber contained a bath that had been created at a later date, around the end of the Ayuttaya Era and the Beginning of the Ratanakosin Era Hence, the Original pra Kru Wat bang Grating has two different grades, those which are of 4 centuries of age, and those which are 2 centuries old. 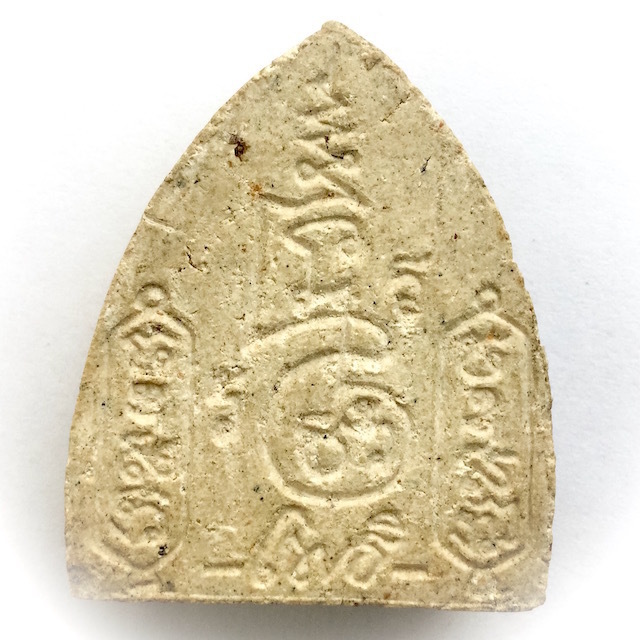 This is one of the rarer Pim of this 2512 BE edition, which was created by Luang Por Toon, and blessed in Buddha Abhiseka along with some of that Era's most powerful and famous Guru Master Monks.This is a 'Pra Kroo' 'Teacher Amulet' to see and recognise the dryness and texture and aging signs of a truly authentic amulet of that era. Once you have seen the real effect of natural aging and dessication over time, it will be difficult for your eyes to be fooled by amulets which look ancient, but are not as old as they claim to be. For this reason, the Pra Luang Por Dto Luang Por Toon of Wat Taep Nimit, is a perfect study exhibit for your armory of research data. The blessing ceremony included the presence of Luang Phu To, of Wat Pradoo Chimplee, Luang Por Seng of Wat Kanlayanamit, Luang Por Sa, of Wat Racha Nadda, and Luang Por Tira of Wat Pha Lelai. 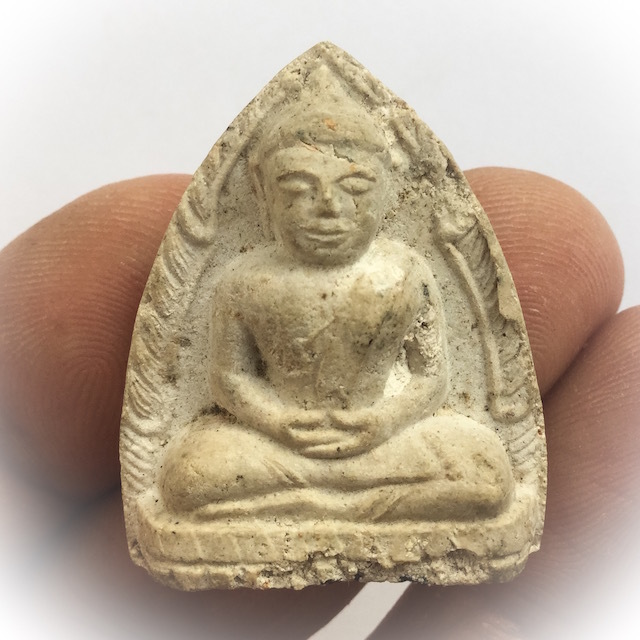 This amulet, is a Classic Pim Niyom Amulet using the same formulas of Muan Sarn as used in the Dtamra of Somdej Pra Puttajarn (Dto) Prohmrangsri for the making of Pra Somdej amulets, And the perfect study example for investigation and study of the Pra Somdej Wat Rakang amulet, For a similarity and differences to the making method used by the original Master. This is true despite the much younger age of the amulet, which reveals the content of the Sacred Powders, and reveals how they wold have looked as they were of less age. 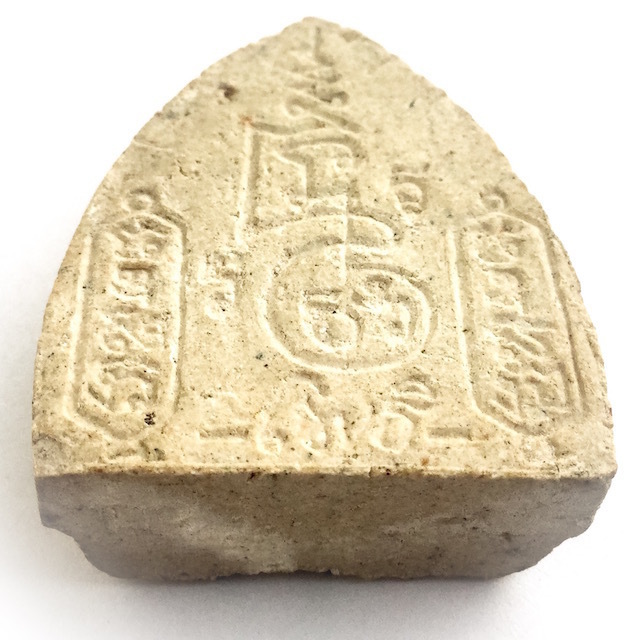 The amulet is used by students of the Dtamra Pra Somdej Wat Rakang Kositaram, to investigate the various elements of the five Sacred Powders which are made in the Dtamra. Luang Por Toon is an inheritance linage Master who has continued that exact formula according to the formula given by Somdej Pra Puttajarn Dto and is amulets are included in the catalog of the ten officially accepted Masters of the Dtamra Pra Somdej. Seated in the Pang Samati Raab Posture, of Meditative Contemplation, seated within a flamed arch ('Sum Ganok'). The 'Pra Siarn' (head of the Buddha) is serene. 'Hoo Yaan' (elongated ears) - 'Pra Moli' (Topknot) and 'Pra Gaes' (Peak of Topknot) are short and sturdy. 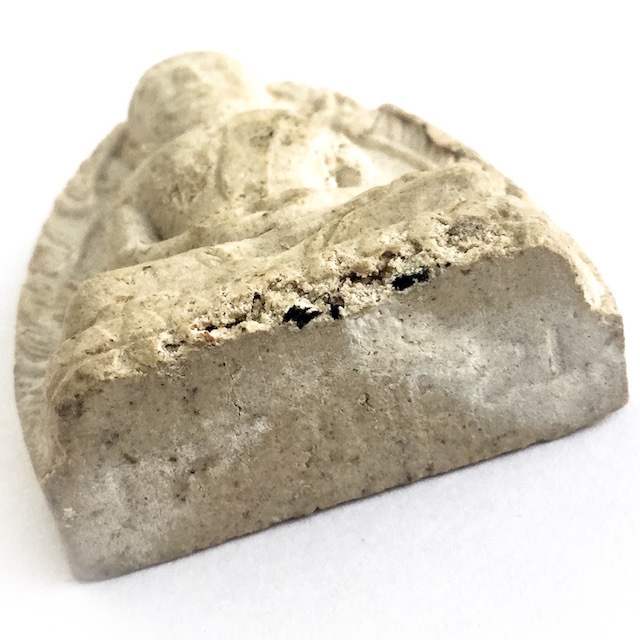 The natural dessication process which is impossible to authentically replicate in fakes, is clearly visible here as a sacred powder amulet which has endured decades of exposure to varying humidities of the atmosphere around it, producing a perfect 'Ongk Kroo' (Teacher Amulet ), used as a reference study for comparisons. The Yantra design of the rear face is engraved like a groove into the rear face with Sacred Na designs either side. 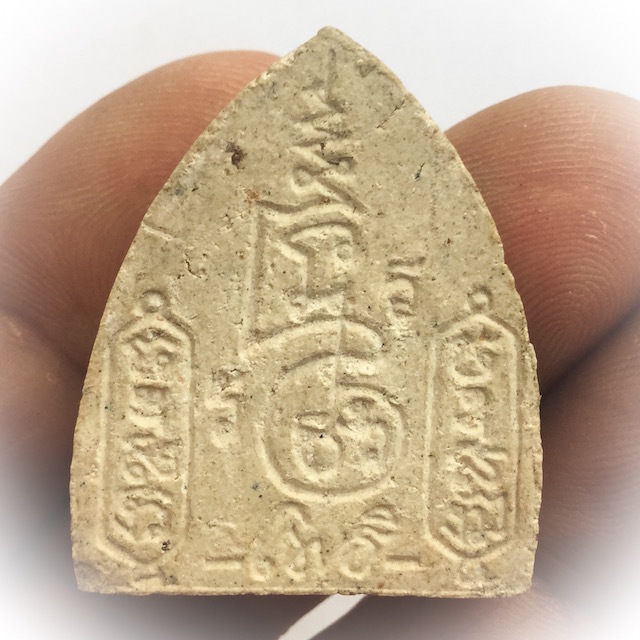 Now an extreme rarity from a Great Master who is listed in the ten Master Makers of Pra Somdej Amulets accepted in the Most Puritan Pra Somdej appreciation Societies. The Yantra design of the rear face is engraved like a groove into the rear face, with Sacred Agkhara Spells either side. 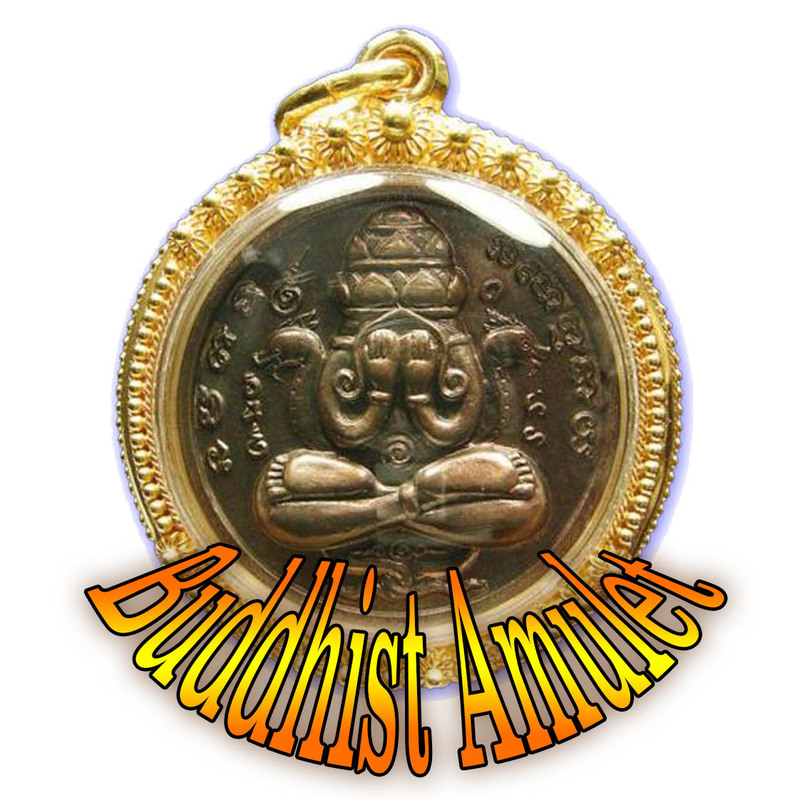 The word 'Bodhi (Po, for 'Wat Po Nimit') is embossed on the lower part of the amulet, defining its origin. The amulet measures 3.5 x 2.5 Centimeters, and is renowned for Maha Ud Magic, for Invincibility over Enemies, and Klaew Klaad Evasion of Deadly Dangers. 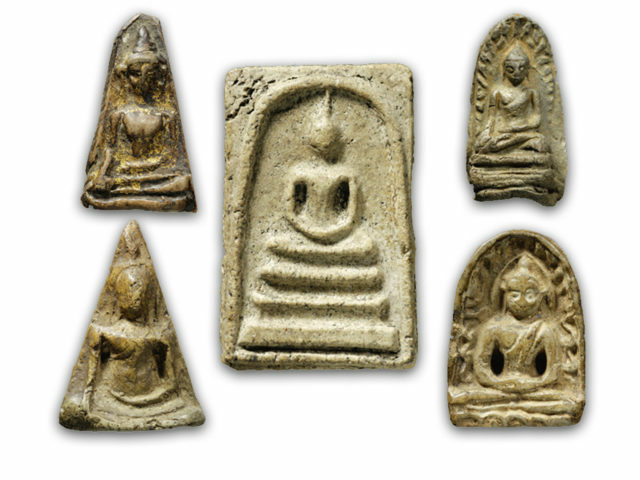 The Muan Sarn powders of Luang Por Toon are both classic and inimitable, giving surety to the owner of their authenticity and Sacred Value as true amulets of the Ten Temples of the Hall of Fame of Pra Somdej Makers.